It is now against the law for employers to ask for, receive, offer or provide a benefit in return for Australian visa sponsorship, or employment that requires visa sponsorship. 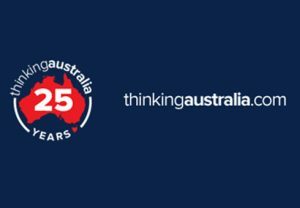 As a provider of professional services, thinkingaustralia – its’ staff, partners and agents – operates fully within these new regulations. Darrell Todd, founder of thinkingaustralia says: “New laws have been introduced to protect workers and migrants from illegal operators, scam merchants and dishonest traders. The focus is on employers and corporate executives who assist sponsored visas in return for a benefit. Applicants who have paid employers for their visa are more vulnerable to exploitation, the government says. In December 2015 new criminal and civil penalties and visa cancellation provisions were introduced as part of a ‘paying for visa sponsorship’ framework that allows for sanctions to be imposed on a person who asks for, receives, offers or provides a benefit in return for visa sponsorship or employment that requires visa sponsorship. It is not acceptable for sponsors, nominators, employers or other third parties to make a personal gain from their position in a ‘paying for visa sponsorship’ arrangement, nor is it acceptable for current or prospective visa holders to obtain permanent residence in Australia, or have the opportunity to work in Australia by providing a benefit to an employer for a job. To further strengthen this framework, sponsors, nominators and visa applicants will be required to, as part of the application process, state whether or not they have actively participated in conduct that contravenes the new ‘paying for visa sponsorship’ laws. Legitimate recruitment, labour hire or migration agent services (or professional services) are not ordinarily captured by the offence or civil penalty provision, because payment is not received as an inducement to enter into a sponsorship-related event. Rather, payment is received in return for the professional services being provided. The Government considers that ‘payment for visas’ activity is unacceptable because it undermines the integrity of Australian visa programmes. It is not acceptable for sponsors, employers or other third parties to make a personal gain from their position in a ‘payment for visas’ arrangement and it is not acceptable for a visa holder to become an Australian permanent resident by engaging in ‘payment for visas’ behaviour. Applicants who have paid employers for their Australian visa are more vulnerable to exploitation and extortion by their sponsor, behaviour which endangers workers and undermines Australian workplace law. The meaning of “benefit” provided for in new section 245AQ reflects the broad range of benefits that are known to be offered or provided in ‘payment for visas’ arrangements, including deductions of a visa holder’s salary or wages, payment for goods or services above market value, or unpaid work.